This pretty pendant makes for a gift as special as the mother in your life is. 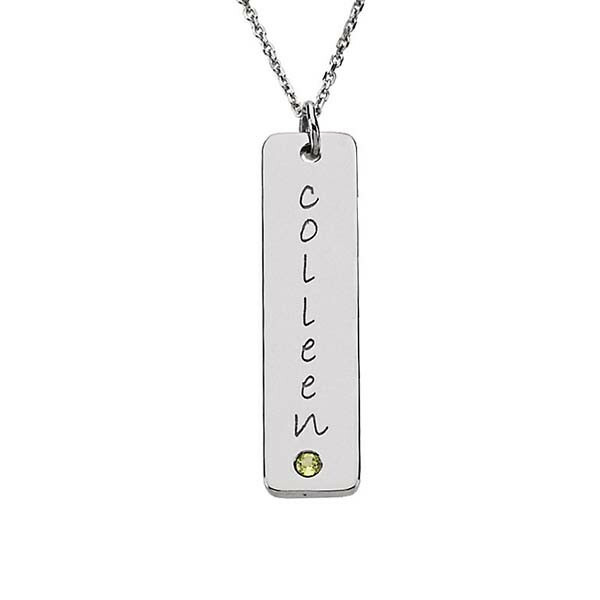 Crafted in sterling silver, it features a faux peridot on a customizable tall tag. Choose the name or significant date of your choice to create a one-of-a-kind present. The simple, stylish pendant will become one of her most prized possessions. If needed, a chain may be purchased separately.